SeroVital Anti-Aging Cream Review: Does It Work? What is SeroVital Anti-Aging Cream? While signs of skin aging easily become noticeable on your face, it is easy to forget and therefore neglect the other parts of your skin, that includes your neck and décolleté. You know what’s been said about your face possibly not giving away your age but, looking at the veins and wrinkles on your hands will? The same thing works for these parts of your body so, paying more attention than usual to your face and décolleté certainly does help you defy aging and it all starts by employing a product formulated to deliver a special dose and brand of care fit for these parts of your skin. SeroVital Extra Firming Deep Penetrating Anti-Aging Cream for Neck and Décolleté is the perfect complement for your age defying skincare routine. This product utilizes a combination of peptide complex, natural moisturizing oils, and even light opacifiers that instantly makes your skin appear younger as the formulation works longer term solutions deep down to the cellular level so you can enjoy youthful looking skin even in your senior years! Get your 1.7 fl. oz. jar of SeroVital Anti-Aging Cream for Neck and Décolleté for just $79. One jar can last you anywhere between 60 to 90 days. SeroVital Anti-Aging Cream- Does it really Work? The product is formulated with peptides that act as fillers, effectively seeking void spaces formed from damaged skin matrices. By filling these empty spaces, the product decreases the depth of wrinkles and fine lines, as the process likewise makes skin fuller and firmer with the aid of natural and synthetic moisturizers. The product is also formulated with opacifiers or products that bend light. These ingredients instantly makes skin appear smoother and brighter, almost upon contact with the skin. What are the ingredients in SeroVital Anti-Aging Cream? Peptides, of different forms and functions. Some of which function to reconstruct damaged skin barriers while others, most remarkably Acetyl Hexapeptide-8, instantly firms up skin by relaxing muscles underneath. Vitamins and antioxidants, specifically Tocopheryl Acetate and Retinyl Palmitate, more stable forms of Vitamins E and A, respectively, are powerful antioxidants which not only help protect skin from further damage but also fuels skin repair and renewal processes. Natural and synthetic moisturizers, which deeply moisturizes skin and make sure it lasts. Water (Aqua): helps in retaining the moisture of the skin can be used to dissolve other ingredients and keep the skin hydrated. Caprylyl Glycol: A humectant and skin conditioning agent that lends moisturization, emollience and wetting properties to many cosmetic solutions. It also function as a stabilizer and has been shown to increase the antimicrobial activity of other preservatives. However it may cause skin irritation. Disodium EDTA: is a salt of edetic acid primarily used as a chelating agent, which can sequester and decrease the reactivity of metal ions that may be present in a product. It also used to enhance the foaming and cleaning capabilities of a cosmetic solution. Provides instant, quick fixes to aging skin. Deeply moisturizes dry, aging skin. 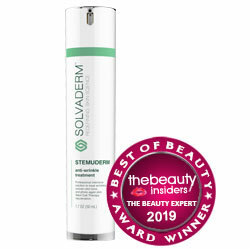 Made with peptides that serve as building blocks for new skin to develop. There are no product drawbacks noted. Does SeroVital Anti-Aging Cream have any Side Effects? Product contains phenoxyethanol which risks damage to your central nervous system. SeroVital Extra Firming Deep Penetrating Anti-Aging Cream for Neck and Decollete has satisfied majority of users. This product will be worth your time to try.